Boundary Waters Resort, here on Lake Chatuge, is a perfect base to explore and enjoy Hiawassee, whilst staying in beautiful surrounds overlooking the lake. Whether you’re here looking for an active break on the water, a quiet romantic getaway, a luxurious splurge or a budget break, you will find Boundary Waters Resort, our own Lake Chatuge, and nearby Hiawassee, have all you need for your vacation. Our town of Hiawassee offers a wide range of eating options, from familiar chain brands to family run and unique local choices. For lunch try a local bakery – Sweet Tooth Bakery explain that their dining room with working fireplace and covered summer decking make for a perfect setting all year round for a relaxed lunch treat. For a special evening, try award winning restaurant ‘The Copper Door’, who have been described as ‘a gourmet gem’ by guests, and offer a wide-ranging menu as well as special events such as wine pairing dinners. As the recently launched website, ‘explore Georgia’ explains, Hiawassee is an Appalachian Trail community, and the southern high roads section of the trail, which is ‘said to be the ‘most famous trail in the world‘, runs nearby. This gives a wide range of hiking options for the committed explorer, as well as gentle day treks for the less experienced. 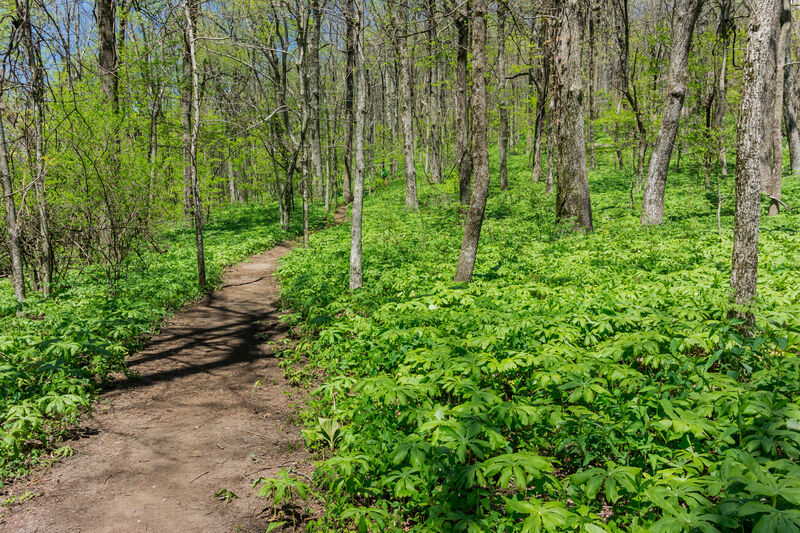 The trail, first conceived of in 1921 and opened to the public as a continual path in 1937’ covers over 2000 miles and allows those hiking it to enjoy the best of our national wilderness system, and the glorious ecosystems it protects. The trail here in Georgia features rugged wilderness hiking, and steep ups and downs best tackled in the summer months. The nearby Hamilton gardens is a unique garden in our area, as well excellent value for money, with a nominal $3 entrance donation all that is asked to visit this extensive complex with over 1100 Rhododendron, a glass house facility, and seasonal highlights such as the spring bulb trail highlighting the best of native bulbs. A private collection dating from the 1950s, Fred Hamilton donated the plants that founded this public garden in 1982, and now dogwoods, tulip magnolias, native azaleas, wild flowers and trillium grow alongside the famous Rhododendron, and can be enjoyed by visitors daily. If you are not staying with us at Boundary Waters Resort but have green fingers, you can get an even stay in the gardens by working in there as a volunteer for 20 hours a week, which gets you in return free camping and even a RV hook up if needed. There are a wide range of options for romance in Hiawassee, say ‘Mountain Top GA’ site, including visits to spas, such as Body Sense Spa, which offers who describe their ‘superlative spa treatments’ as well as stocking products to take home to keep the romance alive. If you’re looking for a little of the finer things in life for your romantic break, our local winery Hightower Creek Vineyard offer tasting events with music and food on a regular basis, so you and your loved one can enjoy a relaxing evening while enjoying some of the best wine in the region. Whenever you’re in town it is also worth checking out Hiawassee’s Georgia Mountain Fairground which hosts events running from fireworks and concerns, to jazz festivals all year round, and could give you something really special to include in your vacation planning. Georgia attracts visitors from all around the world, and for guests traveling from overseas there is no need to waste money on essentials that you can shop around for. Aside from the outlay on tickets, the main culprit for unnecessary overspending is exchanging cash, which can prove costly if done at the last minute at the airport. Travel money can be bought from a range of reputable online providers which often represent great value for money if exchanging currency. Booking flights through a comparison site can bring down the costs, particularly for those who can be flexible on dates, and essentials such as insurance can be found in advance with multi-trip deals often the best value for those more regular travelers. Staying with us is a great value way to get the best out of your vacation enjoying the many facets of Hiawassee as well as the peace of Lake Chatuge. Once here, Boundary Waters Resort offers a range of accommodation options, many of which provide guests with access to a kitchen for those preferring to self-cater, and all of which give an unrivalled view of our wonderful part of the lake. And finally, while you are in Hiawassee, why not go along to what is described as Northeast Georgia’s biggest Antiques Mall, to pick up a unique souvenir of your stay. You could find primitive and fine furnishings, collectibles and quirky reminders of your trip to suit your style and budget – as unique as your stay with us will be! Thanks again to contributor Susie Laurel for this article!